HOWDY and welcome, Petie McCarty! 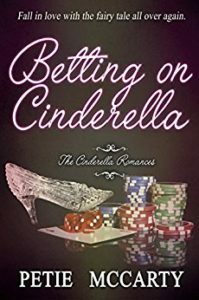 (Petie) I would love to and thank you for allowing me to spend time with your Kam’s Place readers today and to share my new release, Betting on Cinderella. I have a Bachelor’s degree in Zoology, which was no help at all when I decided to write romance novels as a second career. 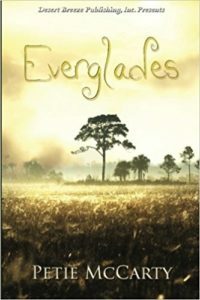 However, several unique assignments during my early career as a state biologist—which included surveying many Florida lakes and streams by airboat—provided background for my very first release, Everglades. Everything that happened to the heroine in Everglades during her safari through the River of Grass happened to me at some time during my career: the bug storm, swimming with gators, the leeches, the heart-stopping airboat maneuvers. Everything, that is, except getting stranded overnight with a hunky airboat guide. I never got one of those, so I wrote my own. Photographer Kayli Heddon has been given the biggest assignment of her career — a photo essay on the Everglades Restoration the Florida governor intends to use in his re-election campaign. A special airboat safari is arranged, so Kayli can get her pictures. What she doesn’t count on is being stranded alone in the Everglades with her handsome and enigmatic airboat guide. Kayli is forced to learn some tough lessons. Trust means everything in the dangerous River of Grass, and a skilled partner can make all the difference in your survival. Skye Landers takes the airboat safari gig as a favor to his cousin who is called out of town. Skye doesn’t expect the governor’s photographer to catch his eye, but Kayli Heddon is unlike any woman he has ever met. He knows he should keep his distance, but common sense goes out the window whenever he gets near her. Trouble is, Kayli thinks honesty is the most important thing in a relationship — any relationship — and Skye Landers is a fraud. When secrets surface from Skye’s past, Kayli and Skye are soon on the run from more than just alligators. I was lucky enough to spend most of my career working for the Walt Disney World Resort. What could be more magical than driving by Cinderella’s Castle on your way to work every day? I came late to the world of publishing and had never considered writing until about ten years ago. I think it was living in the heart of the theme park entertainment industry that constantly tweaked my imagination and made me want to write. I had the fun of working in the land of fairy tales by day and creating my own romantic fairy tales by night. I eventually said good-bye to my wonderful “day” job to write my stories full-time. (Petie) This may sound weird, but I see movies that run in my head. If the beginning, middle, and end of the story are all there, then that’s the next book I write. When the movie starts running, I speed-write scene bullets, so I can begin the sequel whenever I’m ready. The bullets become my outline. Thus, I’ve never really suffered full-blown writer’s block, but I suffer from my own viral strain that I call “climax block.” Now doesn’t that sound scary? For me, it induces a very real panic that occurs with every novel I’ve written to date. I get to the big climactic scene at the end of the book, and I just can’t seem to get it on the page. I know what must happen from the movie in my head and even which characters should participate, but I can’t seem to get the action sequences to formulate on the page. Therein lies the panic. My particular block strain lasts from one to three weeks, which is the amount of time to elapse before the initial action sequence in the movie finally starts to run in my head. Thankfully, the movie has always appeared, but the shreds of panic never completely dissipate. The ever present worry… what if the movie never shows? (Petie) Marketing, marketing, and more marketing. Social media rules the world now and authors need to have a solid place in the various online venues if they expect to have successful book sales. A lot of a book’s advertising and promotion is trial and error. What works for one author or book may not work for another. Every book is different, but perseverance is the key. Marketing is like trying to get published, never ever give up. (Petie) I write full-time from home now, but when I first started writing, I was a bit nervous about letting anyone in the workplace know I was writing novels on the side. Huge mistake. My co-workers got really excited about my first book and ended up being some of my biggest supporters and celebrated every release with me. It’s hard to know how co-workers will react, so it’s an individual decision for a writer whether to share your new venture or not. (Kam) I’m so thrilled you have a supportive team at your back! 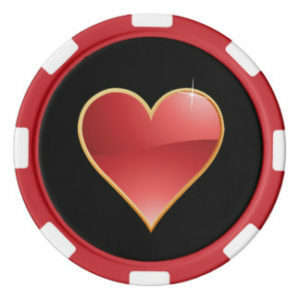 Jennifer Crusie – She gives true meaning to romantic comedy. I have most of hers on audiobooks and have re-listened to all of them. Monica McCarty – Sorry, no relation though I wish there was. I LOVE her Spec Ops Highlanders in the Highland Guard historical series! Lisa Kleypas – Her contemporary romances are even better than her historicals. Lee Child – The Killing Floor scared me to death! All his books are riveting. (Kam) Oooo, I just found me some new authors to check out. Thank you! If my casting were fortuitous as well, then Chris Hemsworth—I can’t help it…I’m a huge Thor fan—would be Garrett Tucker. I mean, what landscaper wouldn’t have great biceps? And innocent-eyed Alexandra Daddario would make a lovely Andi Ryan. 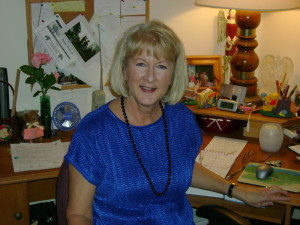 (Petie) Right at this moment, I am finishing up Par for Cinderella, book three in the Cinderella Romances series. Billionaire Aidan Cross, who had a big part in the first two books of the series, insisted on having his own story. Aidan visits quaint Cypress Key, Florida—the future site for one of his world-famous golf resorts that no one in the small town wants. He promptly gets arrested for booting the mayor’s obnoxious son into the marina. After that, I’ll start lining up my movie scene-bullets for Earl Away, the next book in my new Lords in Time series. 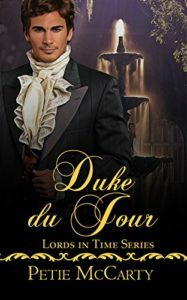 The Earl of Dexter didn’t want to be left out and begged to be in the sequel to Duke du Jour, which released a few weeks ago. Like the Cinderella Romances, this series is comprised of standalone stories that have returning characters. (Petie) All of my books are available on Amazon, and all but the Cinderella Romances [because they are in Kindle Unlimited] are available at Barnes & Noble. 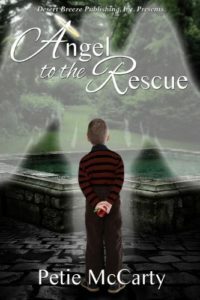 The Mystery Angel Romances each have an angel hidden in the plot whose identity is not revealed until the finale, unless the reader figures it out first. The stories can be read in any order since there are no returning characters, only an angel in each one. The Cinderella Romances books have returning characters, so readers may want to start with Book 1 although all the stories read as standalones. Same for the Lords in Time series. (Petie) I just want to thank Kam’s Place and her loyal readers for allowing me to spend time with them today and share stories about my books. I hope you’ll give the Cinderella Romances series a try. Happy reading or writing to all — your pick! I think after reading Petie’s interview, you’ll have no problem finding something to read for a long while. I’ve enjoyed my time with Petie and I also enjoyed Betting on Cinderella. 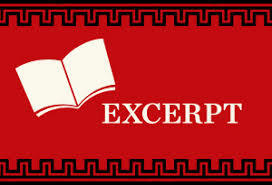 Please keep scrolling down to get a glimpse inside the book and to see my feelings on this romancic tale. Garrett Tucker inherits his grandfather’s casino empire and steps into the reclusive billionaire’s shoes as the “Prince of Vegas.” His first act is to buy a bankrupt casino in Biloxi. When he discovers embezzling in his new operation, Garrett goes undercover. His prime suspect is the new finance supervisor—the spitfire brunette who stole his heart at first sight. A Godmother who’s goal is it to try and make an orphaned girl’s life a bit brighter. These are a few similarities to the famous Cinderella storyline. In both stories, there is a blue dress and a HEA with the damsel finding her one true love. However in Betting on Cinderella, the storyline contains things the original never touched upon: embezzlers, casinos, and mafia looking villains. In each storyline, the good guys prevailed BUT in Betting on Cinderella readers will be surprised at how far Flora Merrywether will go to ensure Andi’s has her own fairy tale ending. BTW: Cute name selection when deciding upon Flora Merrywether. 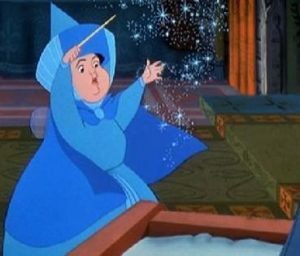 As an avid viewer of Disney movies, I recognize Sleeping Beauty’s magical guardians/protectors’ namesakes. You might’ve spelled ‘Merryweather’ slightly different but I see your inspiration for the name choice loud and clear. 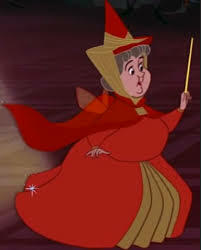 For the plot in Betting on Cinderella, there’s so much going on. I knew we were in for a big surprise. Heck, I figured one out from the start. However, as the final chapters unfolded, I realized I only solved part of the puzzle. For that, my score, my feelings on the overall story increased by one point.